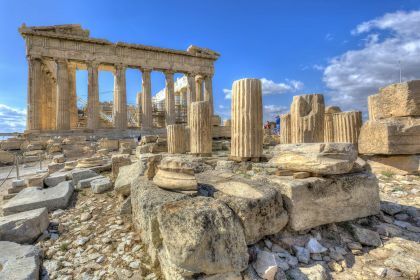 What better way to contemplate Athens’ ancient wonders than from the deck of a sleek luxury yacht? Your attentive crew, talented cook and sumptuous cuisine will complement the life-changing experience of discovering the ancient capital of modern Western civilization. Call or contact here your friendly Abberley charter broker here for assistance in planning an ideal yachting vacation in Athens and the Greek islands. As your charter yacht arrives at the Athens Marina — purpose built for the 2004 Olympics — you will be entering one of Europe’s largest transport hubs, abuzz with hundreds of yachts, boats, ships and cruise liners. Athens has been the gateway to Greece’s maritime traffic for around 4000 years, and nothing has changed much today. And so the curtain will rise on some of the great wonders of history. Historian or not, you can’t help but be moved. 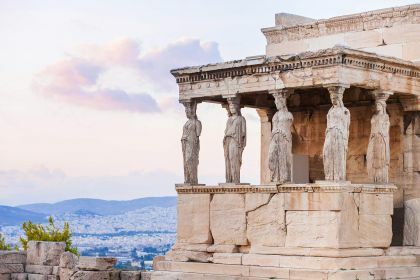 Feast your eyes on the ancient citadel of Acropolis — with its world famous Parthenon, the temple dedicated to the goddess of wisdom, Athena; the Theatre of Dionysus; Temple of Olympian Zeus, Agia Triada Cathedral, and so much more. You can spend days and weeks admiring the sights, but if you’re short of time, take a half-day tour to glimpse the highlights and keep something for next time. Athens boasts a wide array of top-class dining venues. Expect your taste buds to be tantalised by the freshest, highest-quality local ingredients, delectable wines, charming ambience and impeccable service. A visit to the Michelin-starred restaurant Varoulko will make for an excellent start to your gastronomic journey. Greek cuisine presented by the award-winning head chef is sure to satisfy even the most discerning diner. Stylish décor adds visual flair, completing the fine-dining experience. Another recommended option is the exotic Kiku, considered by many to be the finest Japanese restaurant in the city. The chef incorporates Mediterranean catch into the traditional Japanese dishes, resulting in some deliciously memorable dishes. If you want to sample Greek cuisine, try the charming Papaioannou in Piraeus. The elegant ambience with maritime influences, excellent cuisine and view of the port make it a firm favourite. It serves unfussy, traditional food and is known for its fish dishes. As well as some top-notch dining establishments, prepared to be impressed, too, by the city’s state-of-the-art spas, great shopping venues, theatres, nightclubs, festivals and shows. 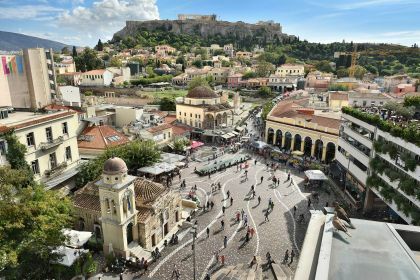 It’s also just a hop, skip and jump from Athens to the Aegean islands – the Cyclades, the Dodecanese, the Sporades, and others. What could be more convenient? Call your Abberley charter broker or leave an enquiry here and we will get back to you to arrange an idyllic sailing or motorboat charter to Athens and the Greek Islands. 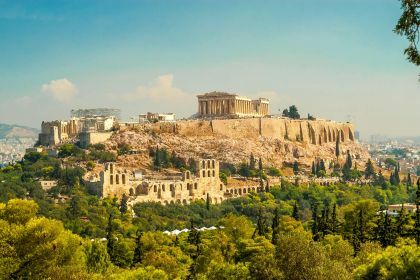 It may be your first yachting vacation, or you may have travelled many seas and experienced numerous yachting hotspots, but Athens has a unique charm all of its own.